What a perfect location for this beautiful, backyard putting green. The homeowner wanted a custom artificial grass green designed and installed into their desert landscape, adjacent to the beautiful natural desert landscape in DC Ranch. We were so pleased with how this synthetic turf putting green looks so beautiful against the amazing Scottsdale desert landscape. 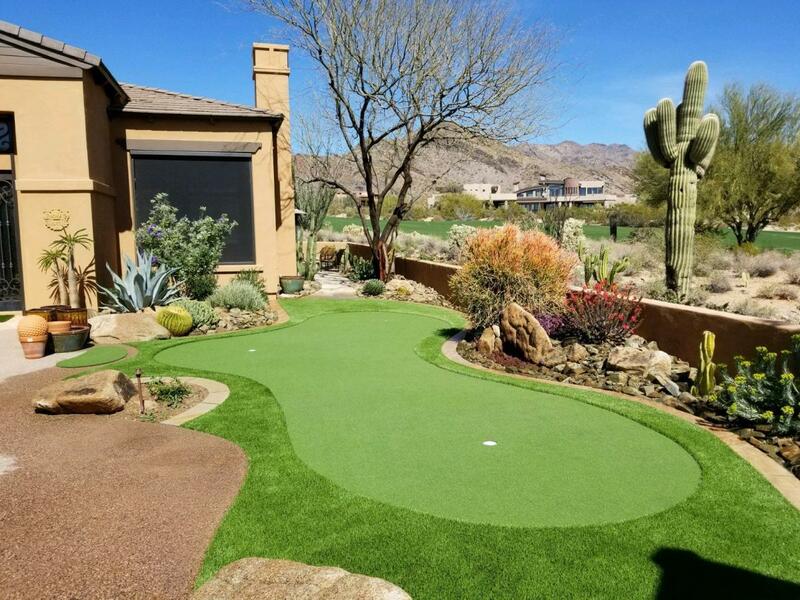 Call us today to get a free estimate for designing a custom golf green in your Arizona backyard.